Many of the patients seeking laser skin rejuvenation and resurfacing at our Saratoga Springs, NY, practice want smoother, more youthful-looking skin but don't want a drastic procedure or lengthy recovery. Our assortment of lasers enables our board-certified dermatologists and laser technicians to treat a range of skin concerns—including wrinkles, sun damage, uneven tone, and age spots—safely and comfortably. We know you have several choices for laser skin resurfacing treatments from Albany to Saratoga Springs, but few practices offer the range of advanced laser systems that you’ll find at Saratoga Dermatology. Too often, practices use the same laser for all skin treatments, even though better options are available. Controlled, precisely targeted bursts of laser energy vaporize damaged skin and trigger the growth of new collagen. This process reveals new skin that is smoother and firmer with more even coloration. Patients with wrinkles, fine lines around the eyes, and sun damage are excellent candidates for laser skin resurfacing. 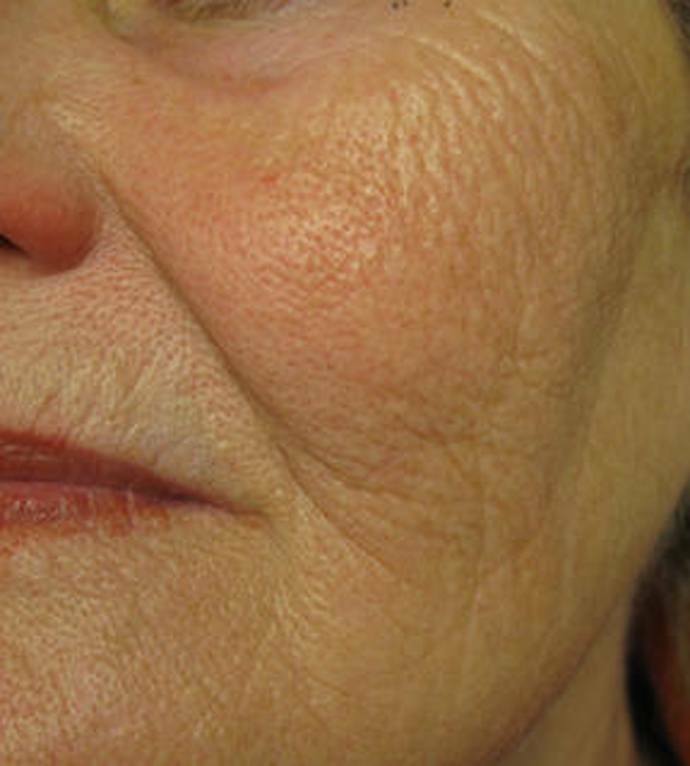 Coarse wrinkling, acne scars, and fine lines all may require different treatment approaches. Our primary laser used for resurfacing procedures is the CO2RE system, a fractional carbon dioxide (CO2) laser that can be customized to address specific skin conditions. This means we can adjust the laser based on the depth of treatment needed. The newer generations of the CO2 system deliver extremely short pulses of energy, improving the treatment’s precision and limiting damage to surrounding tissue. Many patients get the desired results after only a single treatment. These results can be quite long lasting, but periodic treatments may be needed to maintain your skin’s youthful appearance. We may recommend other laser treatments for skin conditions such as rosacea, birthmarks, or broken blood vessels. 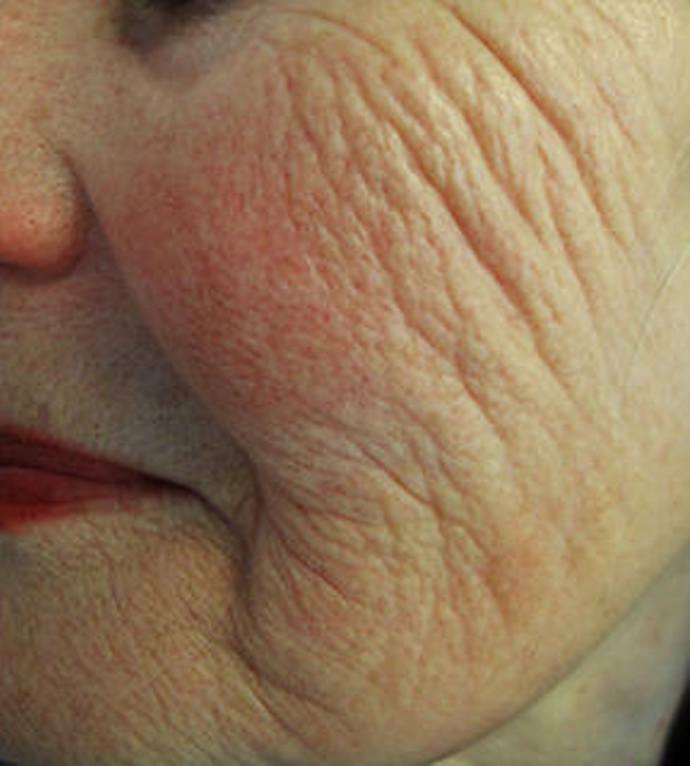 Additionally, patients with less severe wrinkling can benefit from gentler laser treatments. The Smoothbeam laser, unlike the CO2RE system, doesn’t remove skin during the treatment and involves minimal redness, swelling, and downtime. It’s best suited for patients concerned with fine wrinkles and lines. The Smoothbeam and V-Beam lasers are also effective as acne treatments. Depending on the area or areas being treated and the specific laser technique used, a topical anesthetic or a local anesthetic combined with sedation may be used to maintain comfort during the skin resurfacing. The treatment itself may last from a few minutes to a half-hour in most cases. The side effects patients experience following laser skin rejuvenation depends on the type and depth of treatment. Most patients who undergo CO2RE laser skin resurfacing can expect a sensation similar to sunburn immediately following the procedure. That discomfort may last for several hours. Dead skin peels from the treatment area about a week to 10 days following the procedure, as the natural exfoliation process occurs. To learn more about your laser skin rejuvenation options and whether you’re a good candidate for the procedure, request a consultation with Dr. Buhac using the online form, or call our practice at (518) 581-2860.